I started on my own version of the Paleo Diet yesterday. I call it “my” version, because I’m not 100% sure about what the “official” diet is yet, as I haven’t finished reading The Primal Blueprint 21-Day Total Body Transformation: A step-by-step, gene reprogramming action plan by Mark Sisson, yet. What I’ve read and researched so far sounds really good, though. This sounds like the diet plan for me – one that I could follow for life and not just for a few months. It also sounds pretty healthy and goes with the idea of The Lost Diet that I talked about in a previous post. So, basically, what I’m doing is this: I’m cutting out all the pastas, potatoes, starchy beans, cereals, chips, crackers, sweets and most dairy. I will be eating (mostly) lean meats, fish, eggs, nuts, fruits, veggies, cottage cheese, yogurt & protein shakes. Honestly, after only two days of following this plan, I already feel better. I feel more energetic and less “heavy” feeling. What I ate yesterday: No breakfast. I had broccoli-slaw, chicken breast, and a plum for lunch. For a late afternoon snack I had some pepperoni and a square of dark chocolate. Dinner consisted of some beef jerky and a pear. What I ate today: No breakfast. I had a handful of walnuts & pecans as a mid-morning snack. 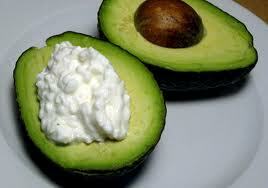 For lunch, I had some more broccoli-slaw, dried beef, cottage cheese and an avocado. Once again, I had some pepperoni and a square of dark chocolate as a late afternoon snack. Dinner consisted of some more dried beef, avocado & cottage cheese with the addition of two plums and a few raspberries. What makes these two days of healthy eating really special for me, is that my diet for the past several years has consisted mostly of the worst junk food you could imagine: McDonald’s burgers & fries, cheese steaks, pizza, fried chicken, potato chips, cupcakes, cookies, ice cream, candy bars. Seriously. No wonder I feel so much better today. Congratulations on making the choice. I think what makes this approach acceptable to so many is the adaptability of its nutritional guidelines. Pretty much just eliminate sugar, grains and starchy carbs. Thank you, David. And, thank you most of all for being such a great inspiration!